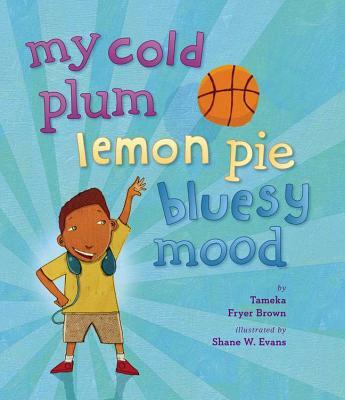 BBS member Tameka Fryer Brown is on a virtual tour for her delightful picture book with Shane W. Evans, My Cold Plum Lemon Pie Bluesy Mood (Viking, 2013). Today’s stop is right here. Please join us as we learn more about her new book, favorite colors and love of crayons. What inspired My Cold Plum Lemon Pie Bluesy Mood? It was inspired by the simple acknowledgement one day that I was “in a mood.” As soon as I had the thought, my writer’s ear determined that “I’m in a mood” would make a great first line or title for a picture book. When I sat down to write, the words just seemed to flow. I had a really good first draft in a couple of days. Please tell us about your publication journey. My critique group, the Mudskippers, reviewed the manuscript for (what was then) IN A MOOD before I sent it to my agent, Jen Rofé. She really liked it so we sent it out right away. Early in the submissions process, editor Joy Peskin expressed interest in the story and soon made an offer on behalf of Viking Children’s. Joy and I worked together on some light revisions before she left Viking. Joanna Cardenas became my second editor, and she’s taken wonderful care of both me and MY COLD PLUM LEMON PIE BLUESY MOOD. How did the story grow and evolve through that process? This particular story didn’t change very much. We had a few wording changes here and there, and in one scene, Joy asked me to make a streetlight reference a little more accessible to today’s kids, as they might not understand the big deal about not being inside before they came on. How did you feel when you saw the illustrations by Shane W. Evans? Do you have a favorite picture? What is it? Illustrator Shane W. Evans (and art director, Denise Cronin) took my words to another level with the most stunning artwork. There is something to gush about in each and every spread, but I do have a favorite. It’s the black mood spread because of how feisty Shane made Jamie’s little sister. She’s really giving it to the older brothers and I just love his characterization of her! I also appreciate how Shane depicted the intensity of Jamie’s emotions with all of the swirls on the page, especially the one that wraps around his body. To me, the spread shows both sides of the color black: the brooding of Jamie, the strength and personal power of his sister. It’s perfect. What’s your favorite color? Does that express how you feel when you’re happiest? My favorite colors are all the colors of the rainbow (ROY G BIV), in the brightest hues possible. Bright rainbow colors make me feel energetic and alive, and that is how I feel when I’m at my happiest. If you force me to choose one, I’d say yellow, but I prefer it when they’re all working their polychromatic magic together. Tell us about your affinity for crayons. What do you like to draw? How do you feel when you color? I’m pretty sure my affinity for Crayola crayons is strongly linked to my affinity for bright color. The last set I bought had way over 100 crayons and was pure bliss. I don’t really like to draw with crayons—I like to color with them, on coloring pages with bold, black outlines and scenes that lend themselves to using a variety of colors. I feel authentically me when I am coloring, not bound by age or expectations or anything except the feeling of joy and peace the activity brings. What do you hope children take away from your story? I want children to know that ALL of their feelings—the good and the not-so-good—are important, valuable, and deserve to be acknowledged…especially to themselves. I want them to recognize they have a right to feel every one of their emotions, to express them verbally or in writing, in constructive and/or creative ways. Identifying, acknowledging and expressing feelings are life skills that precede effective problem-solving—skills we are never too young to start learning. 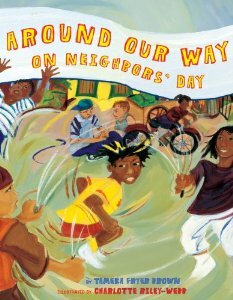 With this book and Around Our Way on Neighbors’ Day, you feature a jazzy, lyrical style and celebrate family, community and cultural diversity. Will we see more books from you in this area? Lyrical writing, most likely. That seems to be a consistent feature in all my picture book stories. As for the other commonalities, I’m sure these elements will find their way in and out of future published stories, as they are all important to me personally. But I’m constantly challenging myself to write outside of the box, so I’m sure you’ll see something unexpected from me too. I’m currently working on a couple of projects which are still in their early stages. We’ll see which one makes its way to market first! 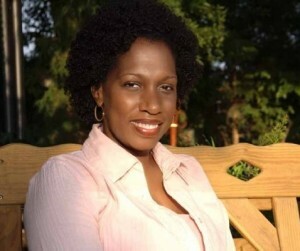 Learn more about Tameka at www.tamekafryerbrown.com. You can visit other stops on her virtual tour here. Book Report: Didn’t We Have Fun! I am soooo super excited about this wonderful book Kelly and Don. It’s beautifully written. Poetic! Shane’s illustrations are magnificent and beautifully done here. So very colorful and uplifting. I believe the book will do very well. So proud of both of them. In a mood….yes indeed. I bet all of us could have written our own version of this picture book. 🙂 But I’m sure none of us could have made it lyrical and colorful like you did! I’ve ordered a copy from my local indie bookstore. Can’t wait to get my hands on it! Congratulations, Tameka! This looks like a wonderful book. Thank you, Don, for introducing me to it. I have to say that Tameka Fryer Brown’s moods are all better articulated than mine! This is going to be a fun one to share with the nephews – congratulations, Ms. Brown!